We’re Exhibiting at PLMA 2018! 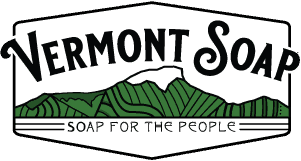 Vermont Soap will be exhibiting at the PLMA Private Label Trade Show in November! For more than 30 years, PLMA’s annual trade show has been the industry event of the year, where retailers and wholesalers source for their private label programs. More than 1,500 companies from 40 countries will be exhibiting their products, including 25 international pavilions. Exhibitors range from small and medium-size companies to well-known national brand makers who also supply store brands.